A weekly update of art world news. This past Monday, tragedy struck one of the most famous Parisian landmarks as the Notre-Dame Cathedral burst into flames, leaving major destruction of the 800-year-old-year old structure. Although the cause of the fire is yet to be determined, the authorities do not believe it was due to suspicious activity. The fire lasted throughout the evening and night while millions of people throughout the world watched in shock and horror. Fortunately, all of the artwork in the path of the blaze was recovered. 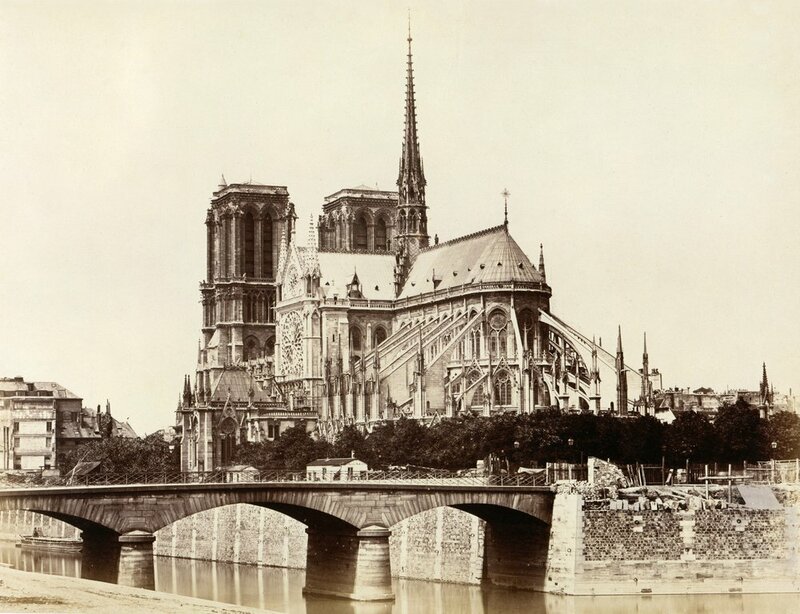 Although the spire and much of the roof collapsed, the French government intends to rebuild. The John Simon Guggenheim Memorial Foundation recently announced 168 humanities and arts scholar fellow recipients; a long list of writers, performance artists, filmmakers, photographers, historians, and more. This extensive collection representative of the “best of the best,” says the Guggenheim Foundation president, includes artists such as Catherine Opie, Hồng-Ân Trương, and Guillermo Gómez-Peña. Since the fellowship’s founding 95 years ago, over 18,000 scholars have been granted fellowship for a total of over $360 million. View the full list of recipients in the link below. American photographer and innovative scholar in the combined fields of technology and art, William Larson, passed away this week at the age of 76 of complications from Parkinson’s disease. Larson, a Guggenheim Fellow (1982) among many other fellowships, was well known in the development of what we know of generally as digital photography. In his many decades of exploration and experimentation in photography he was one of the first people to create strip photographs, in which the lens follows an object in motion and the background appears to consist of lines, or strips, that indicate motion. Larson had began the graduate program in photography at Temple University, which then became one of the best photography programs in the United States, as well as being appointed the director position at MICA later on. To say the least, Larson was an incredibly ambitious and forward thinking artist and innovator. This past March, the Smithsonian began a crowd-sourced project under the name Women’s History at the Archives of American Art. This project sets out to release two to three transcriptions from American women that have made an impact on the arts throughout the countries history. Anyone with access to the internet is able to add to the transcription of these writings. The project is expected to continually release transcriptions to the public until March 2020. The project explores the journals, diaries, correspondences, and more from a slew of well known and under acknowledged women in the field, including the words from Whitney Museum of American Art founder Gertrude Vanderbilt Whitney, sculptor Anna Colman Ladd, art critic and curator Lucy Lippard, among many others. Here is the link to what has already been uploaded to the ongoing collection of data. Click here for the Photo of the Day archive. In Motion: Shutter speed, Aperture and ISO: What do these mean and how do cameras work?